UPDATE 4/1/15: following the release of this article, the Oxnard Police Department has verified the factuality of the below details regarding the identity of Meagan’s killer. Her mother is now speaking to the local press. 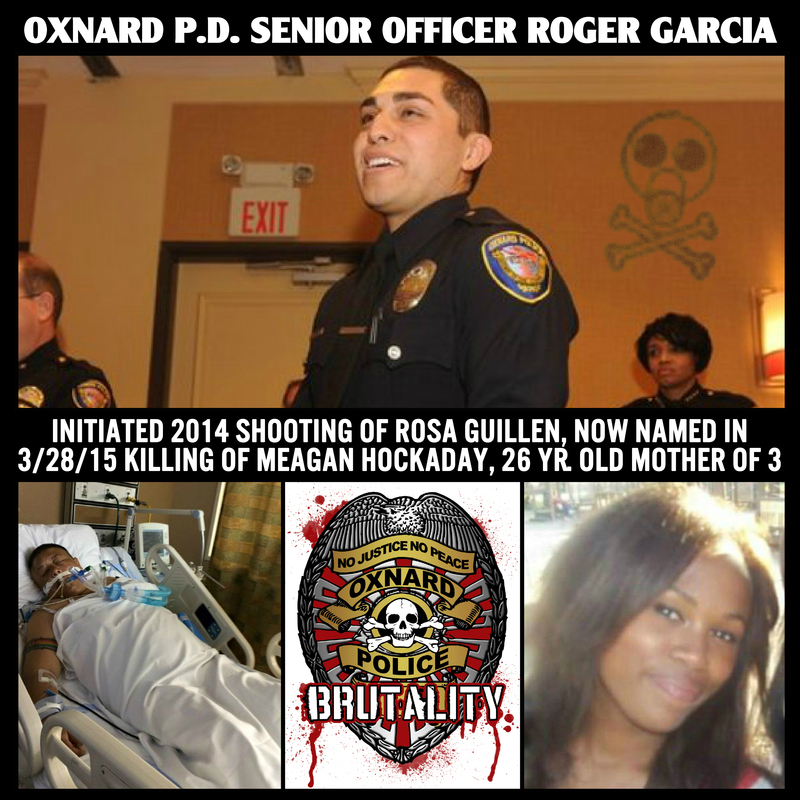 Todo Poder al Pueblo has learned* that the killer of young Meagan Hockaday is Senior Officer Roger Garcia, an 8-yr. veteran of the Oxnard Police Department (OPD). Officer Garcia was responding to a call regarding a domestic dispute at approximately 1:00 am on Saturday, March 28, 2015. Meagan’s boyfriend/partner, Luis Morado, had called 911 to seek assistance for her, as she was in a state of distress – struggling with depression while under the influence of alcohol. Luis had been holding her down on the ground before Officer Garcia arrived, and she had just barely lifted herself up from the floor and approached the entrance to her home, knife in hand (from the previous altercation with her boyfriend), before Garcia began opening fire on her. Meagan Hockaday died later that morning from multiple gunshot wounds. According to the OPD, Garcia fired upon Hockaday 4 to 5 times within 20 seconds of their encounter. The couple’s three daughters – 7 months old, 2 years old, and 4 years old – were all present at the time. Meagan Hockaday has been described as having a “tiny” stature, weighing approximately 120 lbs. with a height of about 5 ft., 3 inches. She was a stay-at-home mom with no criminal record. Officer Garcia had also previously used his alleged training as a Crisis Intervention Specialist (CIS) in the February 5, 2014 shooting of Rosa “Chita” Guillen at Oxnard’s Del Sol Park. Guillen was also in a distressed state, and according to her she called a suicide crisis hotline for help due to depression following her mother’s death. A Colonia resident, she informed the dispatcher that she was carrying small toy guns (a means to potentially intimidate street harassers while “on a budget”). When officers responded to the call she was fired upon, from a distance, 36 times. According to Guillen, Officer Garcia was the first to initiate fire. 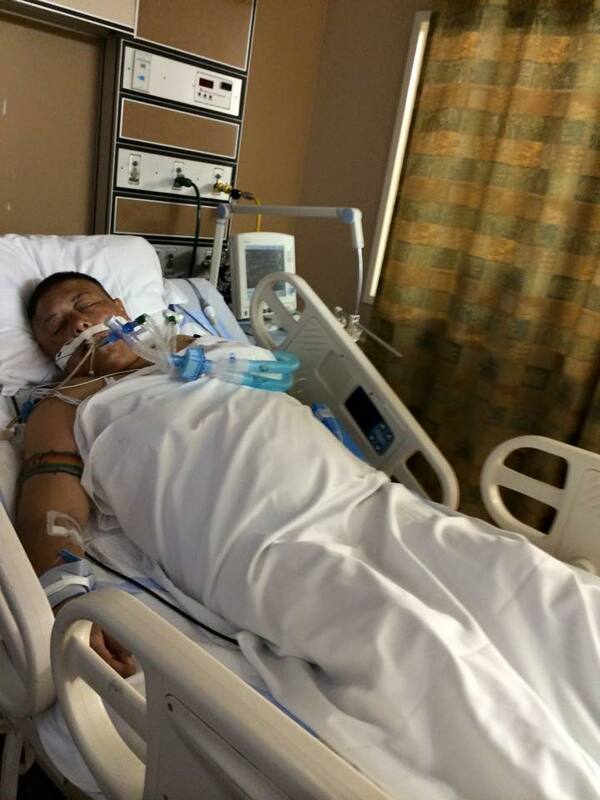 Guillen miraculously survived and is now disabled. Meagan Hockaday’s death is the latest tragic episode of “shoot first, ask questions later” – a scenario known well to Oxnard residents, especially following the October 13, 2012 killing of innocent bystander Alfonso Limon, Jr. It’s also another case of officers who are allegedly “trained” to carry out social work and crisis intervention, yet only know how to respond with deadly, brute force – as the families of Michael Mahoney and Robert Ramirez found out when their son’s lives were also robbed from them in 2012. While Chief Jeri Williams keeps repeating that her officers “feared” for their lives, we have a right to ask – why are such cowardly people being armed and placed in our communities for the purpose of “Protecting Our Community With Exceptional Service”, as the official OPD motto proclaims? Why are these “specialists” and “peace officers” extinguishing the lives of those who are depressed, despondent, and in need of professional help in a country where nearly 1 in 5 suffer some form of mental illness each year? Why does the City of Oxnard continue to stand by Chief Williams’ claims that a CIVILIAN OVERSIGHT BODY is NOT necessary for a police department that has recently been forced to pay millions of dollars in settlements and is involved in at least 2, possibly 3 ongoing investigations of extrajudicial killings by officers, as well as an ongoing investigation into “trophy tattoos” proudly worn by officers involved in shootings? We expect that more information surrounding Meagan Hockaday’s death will be revealed in the coming days. However, we request that the community takes the lead in demanding real changes to a system which has allowed for too many living, breathing, vibrant and beloved lives to be stolen from our community while the killers and neglectful officials remain unpunished. *the sources have been verified, but choose to remain anonymous. Current Chief of Police, Williams, needs to resign immediately or get recalled out of office, whichever the process-she needs to go! The OPD has become increasingly more violent and more prone to unjust killing of civilians since Williams was elected to chief of OPD. I really don’t understand, Why? The so called “PEACE” OFFICER’S! are KILLING! I thought OFFICER’S are to “SERVE AND “PROTECT”! I was born and raised in oxnard California now residing in Atlanta I will never ever come back there it’s so dangerous I just hope justice is served for those who were killed for no reason!!! Oxnard police are the worst, they taunt and harass and laugh as they do it. Why is it they can get away with what they do and nothing can be done about it. It’s because they think they’re above the law, in my book their nothing but bullys throwing they’re weight around and using a badge to do. The whole damn police department should be investigated. I drive around town all the time and see them break laws we would be pulled over and ticketed for. Basically, oxnard police do what they want and the citizens pay for it.